The mission statement of Stewart Funeral Home is to render a professional service with sincerity and dignity; help families celebrate a life and mourn their loved one with a respectful and compassionate service; educate families and the community so they can make proper decisions during times of vulnerability and emotional stress and to acknowledge the death and celebrate the life. Willie L. Stewart was born on July 6, 1941 in Lancaster County, South Carolina. As a young man, he had ambitions to become a mortician and establishing his own funeral home. He began working at Funderburk Funeral Home at a young age. After graduating from high school, he pursued other careers, married, began a family and enrolled in American Academy McAllister Institute of Mortuary Science in New York City in 1970. Willie completed the curriculum of Mortuary Science and obtained his diploma. He relocated back to Lancaster, South Carolina, completed his apprenticeship and made his dream become a reality. 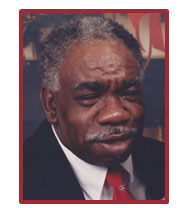 Through perseverance and faith Willie opened the doors of Stewart Funeral Home in 1976. Willie instilled his values and beliefs in his children. His oldest daughter, Pamela also had ambitions to become a mortician since the age of twelve. She followed her father closely and learned the business at a very young age. Pamela graduated from Lancaster High School and also enrolled in AAMI of Mortuary Science in New York City. She obtained her degree in 1985, passed the National Boards and was granted her certificate. 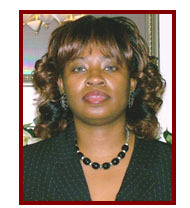 Pamela became licensed as a funeral director and embalmer in 1988. She also continued her studies in Business Management at the University of South Carolina- Lancaster. Willie’s legacy and lifelong dream continues through the leadership of Pamela, her siblings, Ricardo, Sheila and the staff of Stewart Funeral Home. Nine years has passed since God called our love one home. Although it was God’s will; you will forever live in our hearts with a smile. We will reflect on your memories that caused us to laugh throughout the years. The words of wisdom you spoke have caused us to do our best. Your strength, perseverance, and courage are what are keeping us to ensure that your legacy lives on. 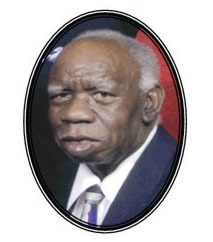 Today we celebrate the life of the late Willie L. Stewart, founder of Stewart Funeral Home. He taught us to have compassion for others. Through God’s grace and mercy we will continue to cater to families every meticulous detail of their love ones service with the utmost care. We thank the Families who have continued to support us by entrusting their love ones in our care.